If you could make more money while helping the environment and saving lives, would you? If you said yes, that is what Development3 (D3) founder Akash Ghai is banking on. Akash works with startups and for-profit businesses to implement Corporate Social Responsibility (CSR) initiatives that save lives and the planet while also supporting company growth models. D3 started as a London-based consulting firm, but moved operations to New York when Akash realized that American companies were reshaping the international development sector for the better. After hearing about Shapr, Akash and his partners at D3 began using the networking app to find like-minded professionals and businesses in the states. Akash admits he was skeptical at first about using Shapr. A self-identified introvert, Akash says he was tentative for the first few weeks, waiting to message his matches until they started a conversation. The turning point was his first offline conversation with match Olakunle Oladehin. Akash says the app has helped to pitch the mission and benefits of working with D3. The app has also helped spread the message about D3’s social good initiatives including Olympians for Public Lands, a collection of interviews with Olympians across the country to help preserve public lands in the US. 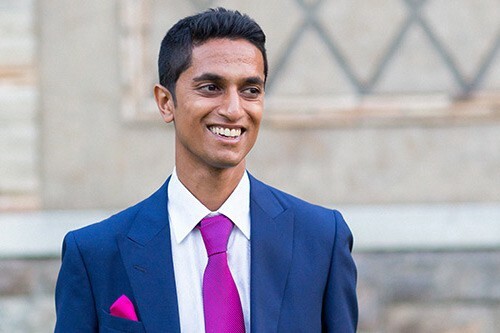 Since using Shapr, Akash has brought on a handful of new clients for his business and discovered new stories to feature as part of D3’s Founding Stories initiative. However, Akash adds that some of the best conversations have little to do with bringing on new clients. Akash has now made it a mandate that his team try to meet someone new off the app each week to expand their perspective and their networks. Akash has also made the app a part his daily routine, swiping through profiles each morning while enjoying a cup of English tea. Want to work with Akash? Check out Development 3 at https://development3.org/ to find out how D3 can help you implement, monitor and grow your NGO or CSR strategy. Or meet Akash on Shapr, the #1 app for business networking. Get started at get.shapr.net.